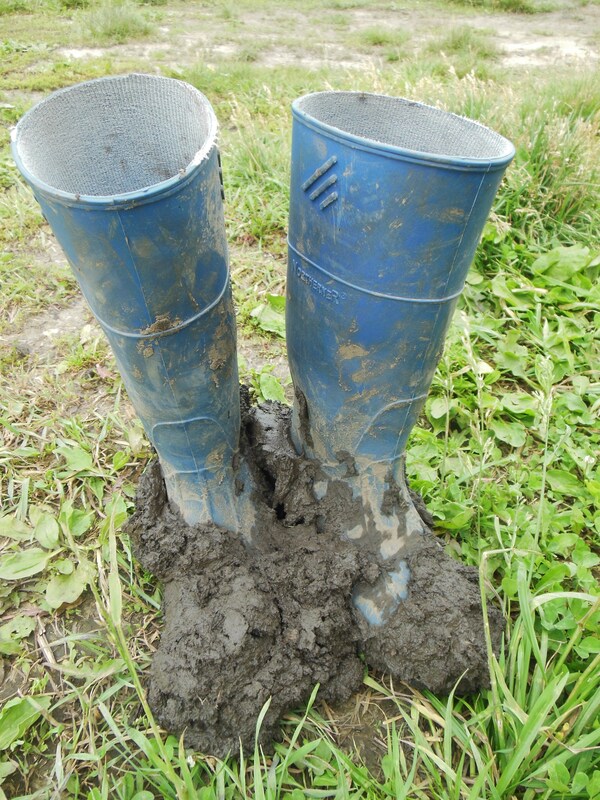 It has been wet on the farm. Frequent rain and constant moisture in the soil has meant a recent adjustment in the way we must transplant our crops. 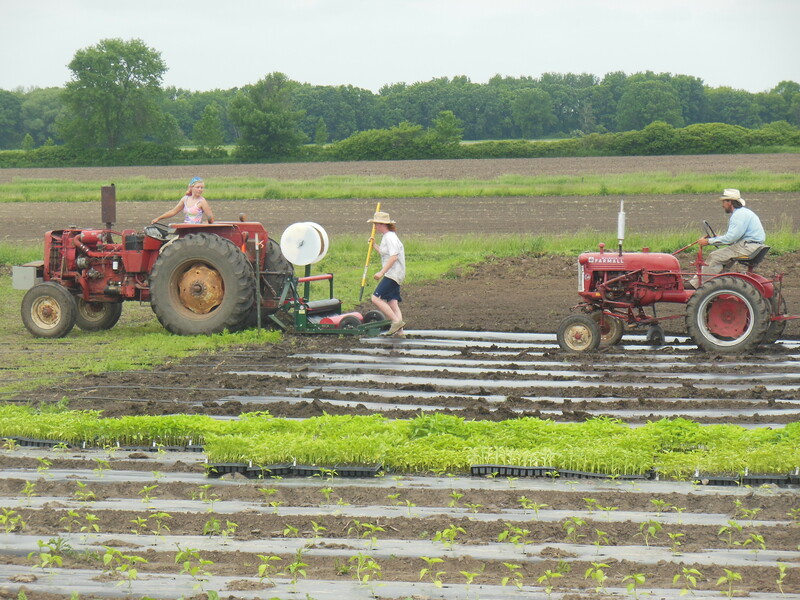 Typically we use a waterwheel transplanter (above photo) pulled behind a tractor to help us get the plants into the ground. People power is still needed to place and cover the plants when using the waterwheel. 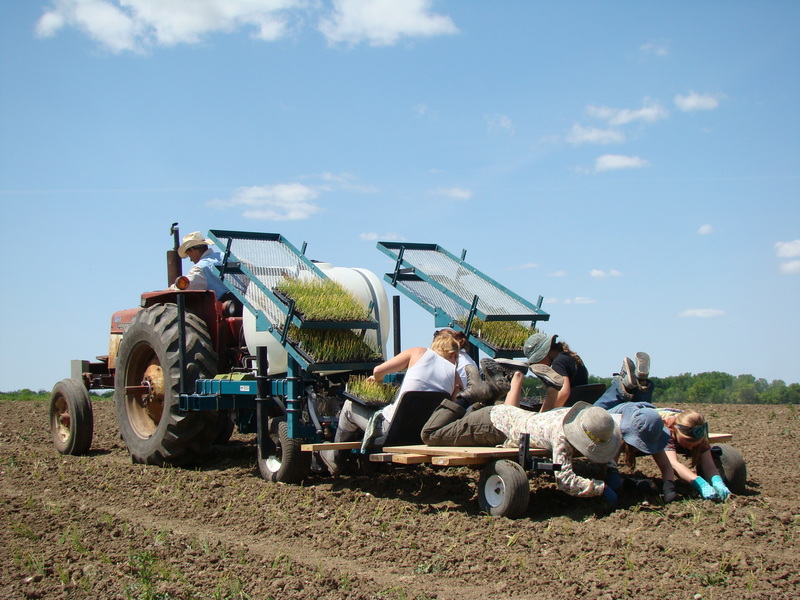 There is, however, much less strain on the body using the transplanter as opposed to transplanting 100% by hand with no help from a tractor or waterwheel. Planting by hand means a lot of bending, squatting, shuffling, and so on. It is also much slower. Transplanting 12 acres this way would be tough on the body and not very economical at such a scale. Today we transplanted 1162 melon plants completely by hand (above photo). We had to. The melons had been waiting to be transplanted for a week now and they just couldn’t wait any longer. They needed new soil and more nutrients that the field dirt could offer. They were outgrowing their little potting cells. If the melons weren’t planted now, we wouldn’t have a melon crop this year. We knew an adjustment in our transplanting method was called for. We also usually transplant our melons into plastic mulch (above photo). Too much moisture in the soil meant we could not set this mulch in place. 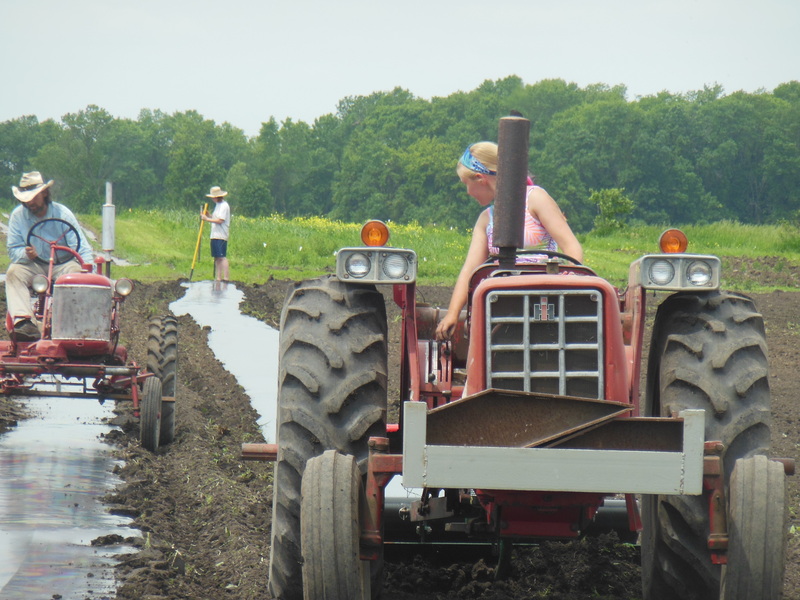 We use people power and a tractor which pulls a plastic mulch layer to make a planting bed that will create added heat to the soil and help reduce weed pressure. That isn’t all though. 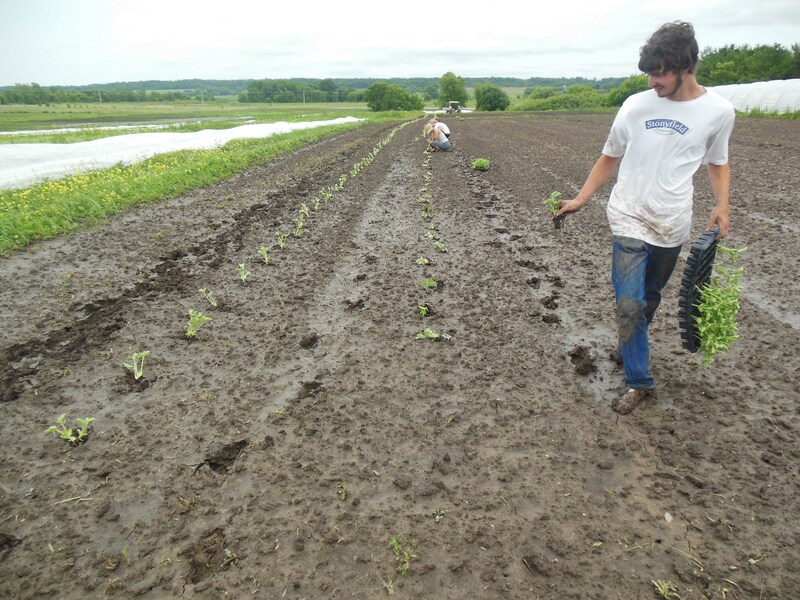 There is one more thing we did and needed to do in order to get these melons planted—We needed naked feet. Considering that more rain is in the forecast and the soil is still quite saturated, it seems as though we’ll be doing this method again with the rest of the melon patch — another 1000 plants – and perhaps some of the other crops, too. All with naked farm feet. Thank you for sharing. Those pictures say it all. We definitely would be good at the old world grape squishing part! 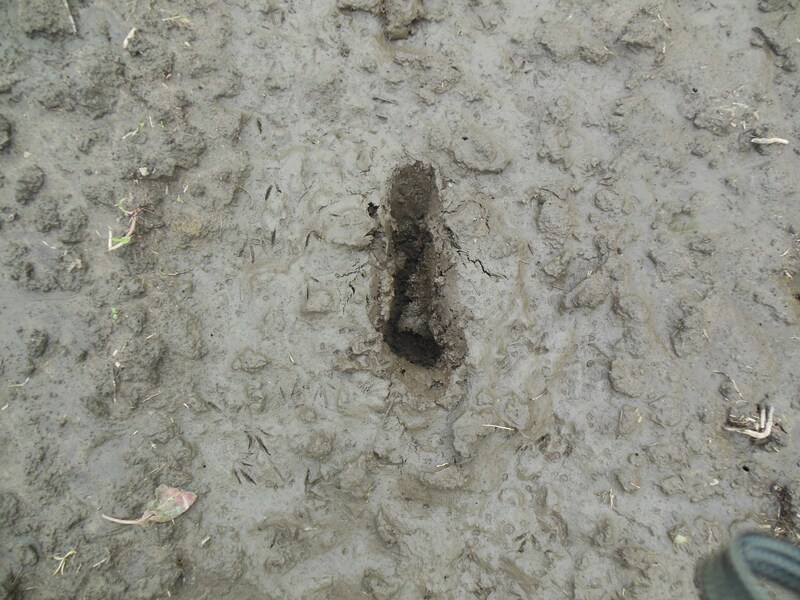 Hmmm….grapes oozing between our toes or mud oozing?